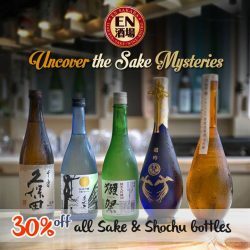 Enjoy your long weekend with us by celebrating 30% off ALL Sake and Shochu bottles! 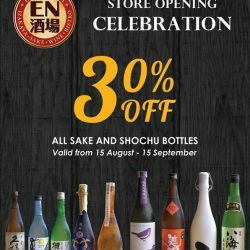 Time to celebrate because En Sakaba (#01-16) is having 30% off all Sake and Shochu bottles! C'mon down to select from a variety of choices and selections.